Prevent transplant shock and minimize root damage with all natural Jiffy pots. 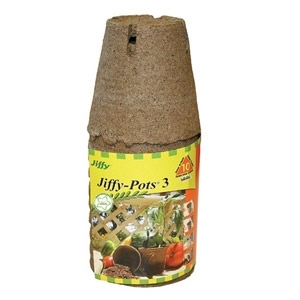 Trusted by growers worldwide for their quality, consistency and commitment, Jiffy's pots make transplanting your plants easy and effective. Made from Sphagnum peat moss.